Welcome to HMV&BOOKS online ! Here are some useful tools: Learn how to place an order, receive special offers and more. 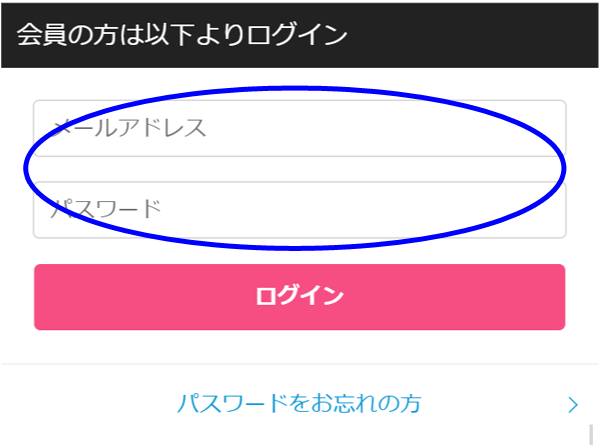 Pick up items you wish to purchase, and then please clicktap "Add to cartカートに入れる"
*Please note "カートへ入れる" means “Add to cart”. Check title, quantity and total amount of items. 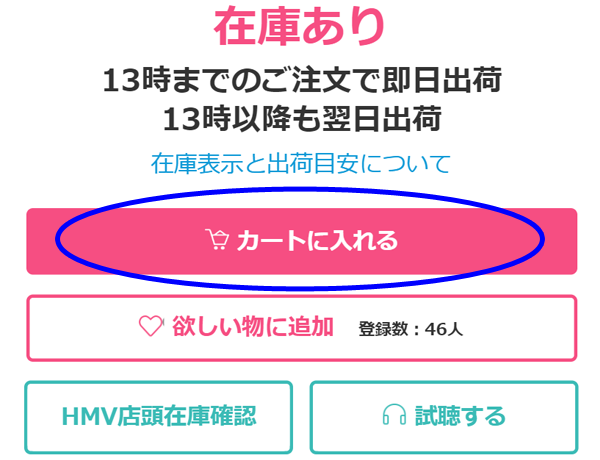 Your cart is correct, please click "Proceed to check out"tap "購入手続きへ進む" on the page, "Shopping Cart". *Please note "購入手続きへ進む" means “Proceed to check out”. Please enter your registered mail address and password. 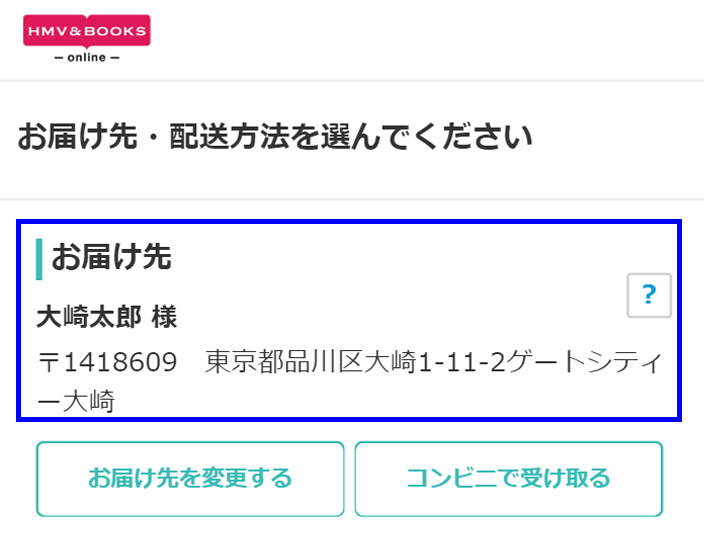 We recommend you to sign up for HMV&BOOKS online, get "Lawson Web Membership” (Free). What is Lawson Web Membership? Lawson Web Membership is the valuable member service for shopping at HMV&BOOKS online, HMV&BOOKS or HMV stores inside Japan, and you can also take some more web service with the one membership, l-tike.com and Lawson Travel. 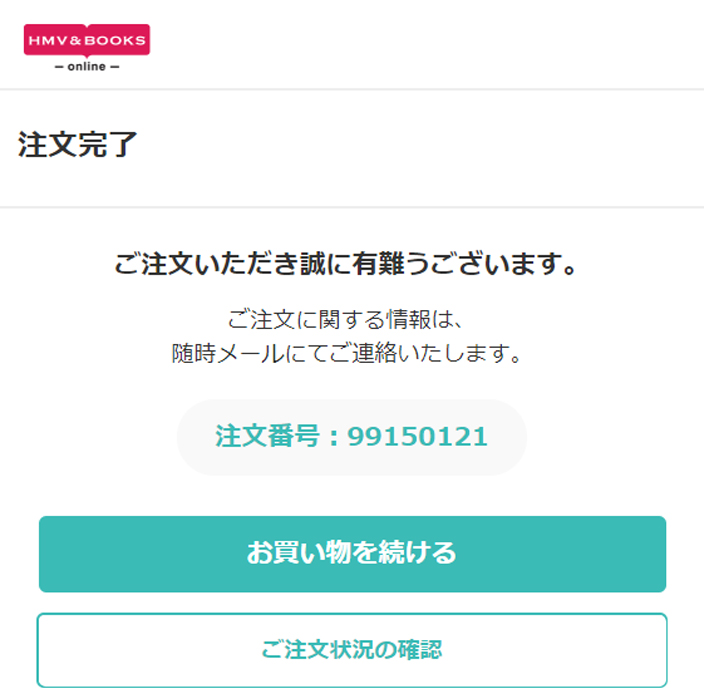 Additionally, you can get and take Ponta Point for every shopping at HMV&BOOKS online by signing up for Ponta card and linking with your Lawson Web Membership. Ponta point is available to save or to discount for shopping at HMV&BOOKS online and also other tie-up stores inside Japan. If you do not have Ponta card, you can sign up for the card and link it with your Lawson Web Membership. Please register the shipping address on the page, “Change / Register Delivery Address”. Please make sure if your delivery address and delivery option are correct on the page, “Delivery Address / Delivery Options”. You can check them after clicktap “change” on the item, “Delivery Address” or “Delivery Option”. If there are not any problem, please click “Next”.tap “次へ進む”. If you would like to pick up your order at a convenience store, you can select the store after you click the item, “Delivery store choice”.tap the item, “コンビニで受け取る”. *Please note "次へ進む" means “Next”,” コンビニで受け取る” means “Delivery store choice”. *Please note "次へ進む" means “Next”. Please check your order information and the amount of the payment on the page, “Confirm”. 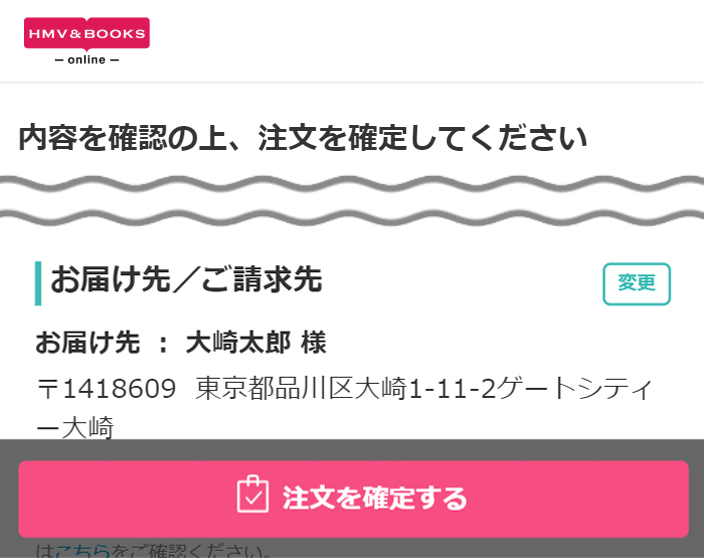 You can create your order after you click the item, “Place Your Order”.tap the item, “注文を確定する”. 7. Your order has been received. All procedures to create your order is completed. We sent you the confirmation of the order via mail, please check it. You can confirm the progress of your order at “Order History” inside “My Page”. We have a variety of payment options as follows. Please select one you would like. 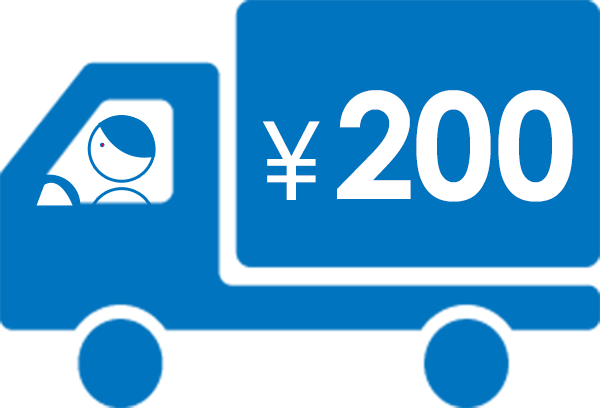 *Customers without Lawson Web Membership can take only credit card, Cash On Delivery, and Cash at Convenience stores. *Orders for international shipment, Overseas Customers take only credit card for payment. 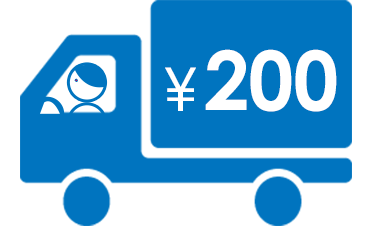 Delivery charge is the same throughout Japan per an order, ¥200 (tax incl. : ¥216). Delivery charge is free for picking up your order at convenience stores. *For Toy items, delivery charge is ¥540 (tax incl.) per an order. Free delivery charge with purchase of ¥3,500 or more. Order with toy items is available only for domestic shipping. *All orders shipping to overseas are shipped via EMS. Delivery charge for international shipment is variable as the weight of the order and the delivery address. Home delivery or mail, we are afraid that you cannot select the service. Your order will be dispatched when all items become ready to be shipped. Please note that your order will be shipped after all items are prepared even if your order includes pre-order items or unprepared items which require time for preparation. You can arrange for your order to be split into two shipments. This can be selected at the time of ordering - you select which items you want in which delivery. The delivery usually is received within 1-5 working days from dispatch. The service to set the delivery date is free. You can set it after you clicktap “change” next to the item, “Delivery Address” or “Delivery Options” on the page, “Delivery Address / Delivery Options”, in placing an order. All items in your shopping cart are in stock, you will be required to select the delivery date before when you place the order. If your order includes pre-order item or unprepared item, we will let you know how to select the delivery date via an email when all items in your order become ready to be shipped. *Delivery Date Setting is valid only for areas Sagawa Express service is available for the scheduled delivery. 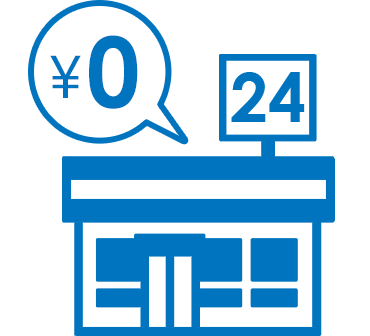 Picking up at convenience stores is free of cost for delivery and optional setting. By selecting a delivery store, you can pick up your order at Lawson store or Ministop store. 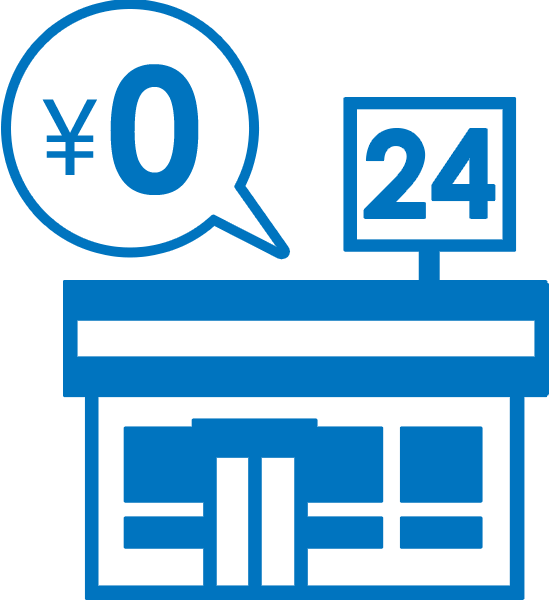 You can pick up your parcel at the nearby convenience store for 24 hours. *Note: This service is available only for stores inside Japan. You can check the delivery status through “Track Orders” inside “My Page”, for Home delivery, Mail or EMS. *You need to sign up for Lawson Web Membership if you would like privileges. You can order one or more items with member price. We provide special offers with discount price and bargain sales periodically. We also provide members with the campaign of partial refund from the total amount of your shopping and present discount limited-time coupons irregularly. You can save and take Ponta point for every shopping at various Ponta point tie-up stores inside Japan, e.g. HMV&BOOKS online, HMV&BOOKS or HMV stores, Lawson stores, and also online stores. *You need to sign up for Ponta card and link with your Lawson Web Membership. 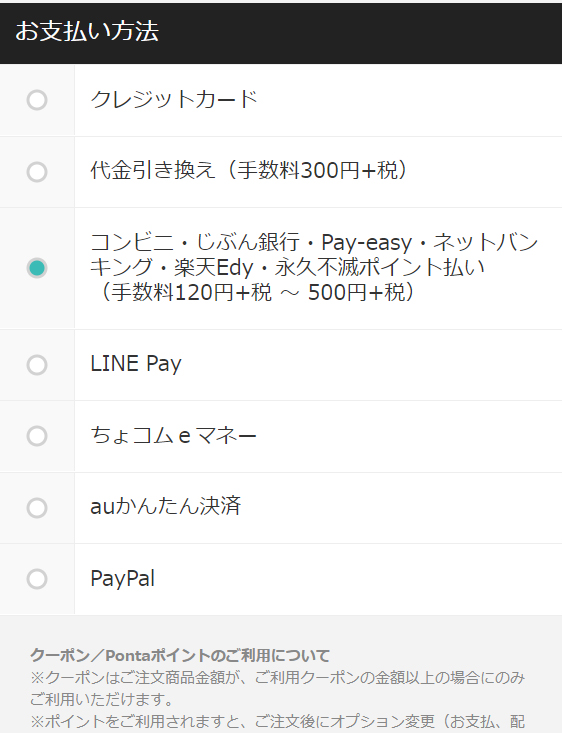 *You cannot sign up for Ponta card in case your billing address on Lawson Web Membership is outside Japan. 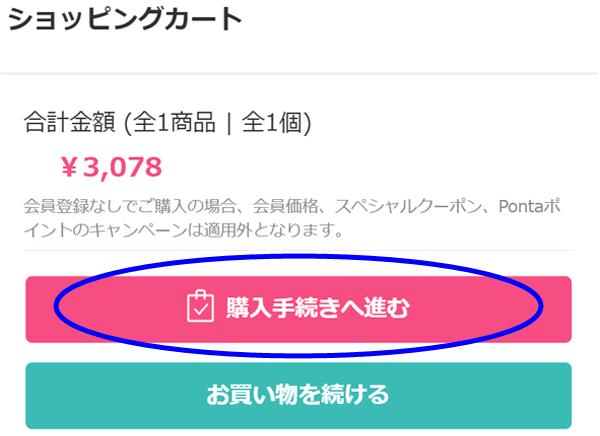 You will receive the same amount of coupon as Ponta Point for each shopping after you register the membership. "Click & Collect" lets you check stocks of neighbor HMV stores, pre-order, reserve, and order at HMV&BOOKS online. The item for your order will be delivered to the hmv store inside Japan which you ordered. The charge for Gift Wrapping is ¥300 (tax included). You can add a message card for free. Would you like to send a present with expressing your gratitude with words? You can set Gift Wrapping service by selecting “Yes” on the page, “Delivery Address / Delivery Options”, in placing your order. You can enter words for the message card with the maximum of 160 characters. 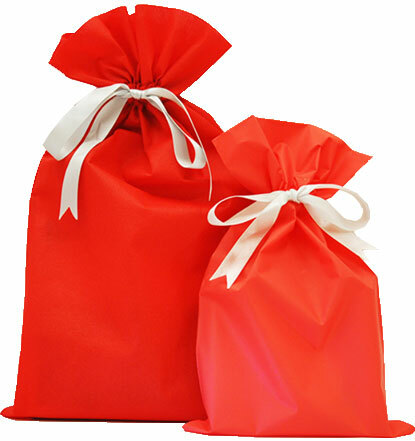 * If the order does not fit in any size, gift wrapping will be served in red wrapping paper. * Gift Wrapping is not available for orders with Scheduled Delivery, Split Shipment, and Delivery to convenience stores. * When selecting Gift Wrapping, all items in an order will be wrapped. Please separate your orders if you wish partial item wrapped or multiple gift wrapping in one order.